Pittsburgh Center for Creative Reuse conducts educational creative programming off-site at events across the Pittsburgh region and on-site in the Maker Mill area of our retail shop. Our staff want to work with you to make your event great. Scroll down to read brief descriptions of Creative Reuse’s current program offerings. This open-ended program provides hands-on exploratory creative activities for participants of all ages. Explore and create with a large selection of reclaimed materials. Themes and learning objectives can be customized, such as a Superhero Reuse-A-Palooza or Musical Instrument Reuse-A-Palooza. The Reuse-a-Palooza program is ideal for fairs, festivals and public events. Click here for more information about this type of event. We offer skill-based workshops for groups. Our nine offerings are Book-making, Jewelry, Trophies, Hand-sewing, Dioramas, Birdhouses, Yarn Crafts, Marble Runs. and Empty Lots. Click here to learn more about our Remaker Playshops. Collaborate with us to plan a party you’ll never forget! Choose from our art party offerings or customize your own! We’ll provide the materials, tools, and teaching artists. Our Creative Education team designs dynamic workshops for teachers and non-educators alike. Learn how reuse can promote creativity and sustainability within your workplace. This professional development program can be tailored to fit your needs; be it a team-building exercise, creative problem-solving workshop, or loose-parts play to inspire your classroom activities. Click here for more information about our professional development workshops. We welcome groups to visit our shop for field trips or crafting activities. Schedule your visit by filling out our Program Request Form. For more information click here. If you would like to come with a group for a free, unguided visit, please schedule with us by filling out this form. Get the party started with reuse! Book us for your next soiree. We’ll bring the materials, tools, and teaching artists to get your guests’ creative juices flowing. Our materials are available as packaged project kits. 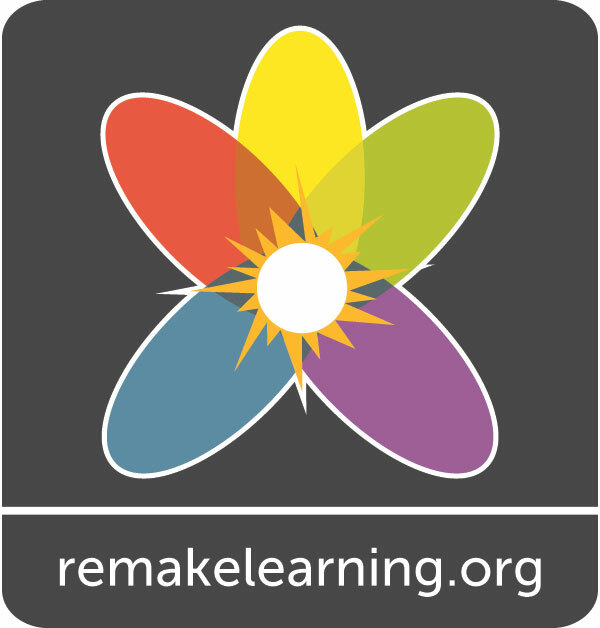 These ReMaker Kits address Climate Change topics and were designed in tandem with educators from the Carnegie Museum of Natural History and other organizations in Pittsburgh’s CUSP network. CUSP stands for Climate & Urban Systems Partnership (learn more at cuspproject.org). Learn more about our kits here. We offer these kits for sale. Please inquire by emailing programs@pccr.org. We know you’d never cancel on us but make sure to check out our cancellation policy here before booking your program! Many of our local creative education programs for children are made possible through generous, ongoing support from the McSwigan Family Foundation. We also received support from the Grable Foundation to launch our Educator Empowerment Program in 2017 and continue the program in 2018-19. We are grateful to these foundations for supporting resource conservation and creative reuse in the community! Three Rivers Arts Festival | Highmark First Night Pittsburgh | Pittsburgh Home & Garden Show | Pittsburgh Maker Faire | Children’s Museum of Pittsburgh | Carnegie Library of Pittsburgh | Jewish Community Center | Deutschtown Music Festival | Neu Kirche Contemporary Art Center | St. Edmund’s Academy | Hosanna House | University of Pittsburgh | Carnegie Mellon University | Moon Parks & Recreation Earth Day Celebration | Sarah Heinz House | Food Revolution Pittsburgh Day | Alcosan Open House | Allegheny Green + Innovation Festival | Frick Environmental Center | East End Food Coop’s Art Harvest | Any many more! For all other programming inquiries, please contact us at programs@pccr.org.